Optimizing your health by helping you pinpoint, prevent and treat disease, pain and nutritional deficiencies naturally. We are located in store, offering you easy access to your supplement and mineral needs. Giving you fast and lasting relief from pain caused by shingles, endometriosis, and many other issues. We offer you unbeatable results at the lowest prices in town, all with a personal touch. Our comprehensive wellness panels and analysis reports help you to find out exactly what is going on in your body. We create a recommended vitamin and mineral schedule to help restore your body to its healthiest state. 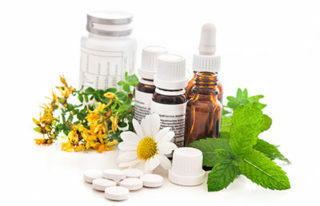 Pain relief is fast and easy with our contemporary combination of tools and nutritional recommendations. Let us help you find and prevent the underlying causes of many health issues and give you the directions and tools to optimize your health today. Our Frequency Specific Microcurrent Machine, combined with diagnostic tests and nutritional recommendation, can obtain fast pain relief. 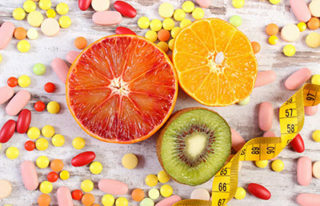 Enjoy the convenience of purchasing your recommended vitamins and minerals immediately from our knowledgeable staff. I came to Dr. Guidry after having horrendous headaches and migraines for two years. I had tried multiple pills, physical therapy and tried to self diagnose food allergies but nothing worked. Dr. Guidry’s recommended lab tests, supplement recommendations and food elimination guidance has helped me immensely and I have been migraine free for over 6 months! When I started working with Dr. Guidry 5 years ago I felt bad about spending money on something I wasn’t sure I believed in. Dr Guidry identified my iron levels were too high. I chose to do nothing about it and 2 years later developed symptoms. Luckily Dr. Guidry was still willing to help me fix the problem. Looking back it was a decision that I couldn’t put a price tag on, but hind site is 20/20!! Dr. Guidry has saved me way more money than I’ve spent by identifying the early onset of a major health issue. It is my guess I would have spend many thousand dollars on medical tests vs. $1000-$2000. 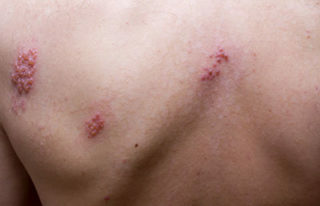 I was suffering with shingles pain for about a week when a friend referred me. The pain was just awful and my medical doctor said it could be 2-4 weeks before the pain would subside. When I first met Dr. Guidry I was getting the stomach flu 3 times a year for 6 years. I was tired all the time and my menstrual cycle was a mess. He told me if I didn’t change what I was doing I was going to end up with a thyroid problem in 20 years. I didn’t understand how he knew that or if I could trust him. I had a thermogram done 1 week later and it lit up my thyroid. That practitioner said, “If you don’t change what you’re doing you’re going to have a thyroid problem in 15 years.” That was enough for me to know I could trust Dr. Guidry. After 1 year I noticed I wasn’t getting sick as often and went 2.5 years without getting sick! My energy is better and my menstrual cycle is also improving. Dr. Guidry is a very knowledgeable and compassionate practitioner. I’ve referred many people to him! Thanks Dr. Guidry! Copyright Dr. Deo Guidry 2016. All rights reserved.